Affiliate Post: That means clicking on a product link below may give me a little cash for the yarn stash! Not to alarm anyone, but Christmas is FOUR DAYS away! Still haven’t checked everything off of your holiday gift list yet? Well you’re in luck! I’ll collected a handful of really awesome last minute gifts that are literally just a click away. Hooray for the internet! 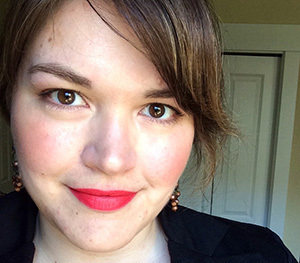 Online classes are quite possibly the perfect gift (last minute or not!) for knitters of all skill levels. And bonus! They’re not limited to just knitters! Crafters and makers of all kinds will wholly appreciate the gift of an online class from Craftsy.com. The only requirement is that the giftee have a reliable way of viewing the online classes. Either a computer with internet access OR a mobile device with a data plan. Christmas is quickly approaching and we’re already smack in the middle of Hanukkah and, if you’re like me, you’re only just NOW thinking about knitting up some gifts for loved ones. Oops! But no worries! I’ve round up plenty of quick knit projects that you can whip up in no time along with a few tips, tricks, and dash of inspiration to get you started down the right path. 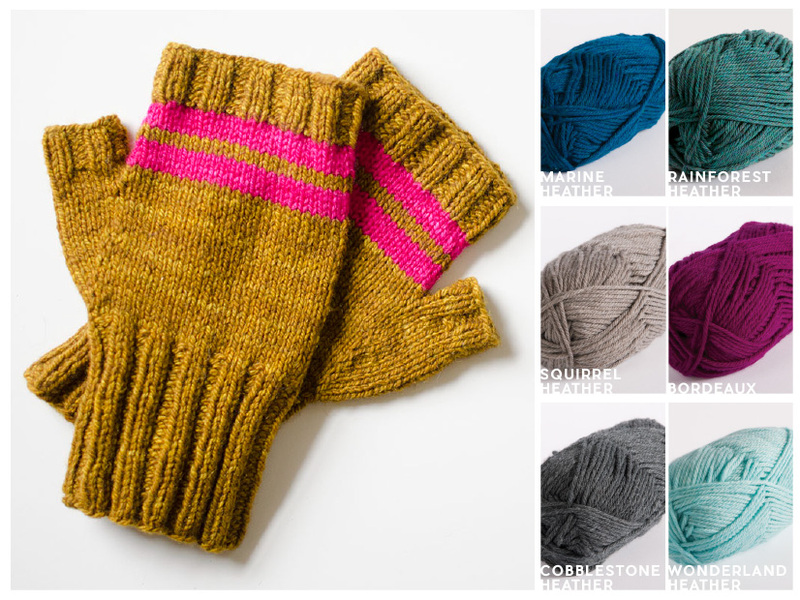 These mitts are a fast and addicting knit. 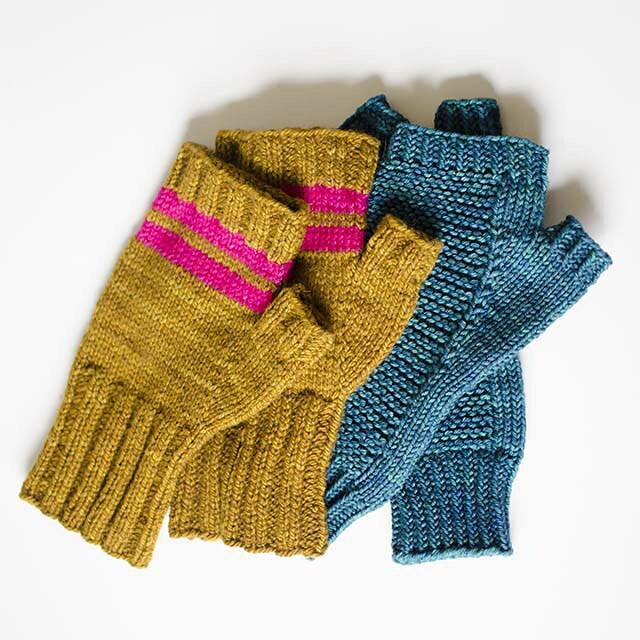 I knit up a pair of these last year, using The Plucky Knitter Scholar in Dandy Lion and Trusty in Tuscadero. 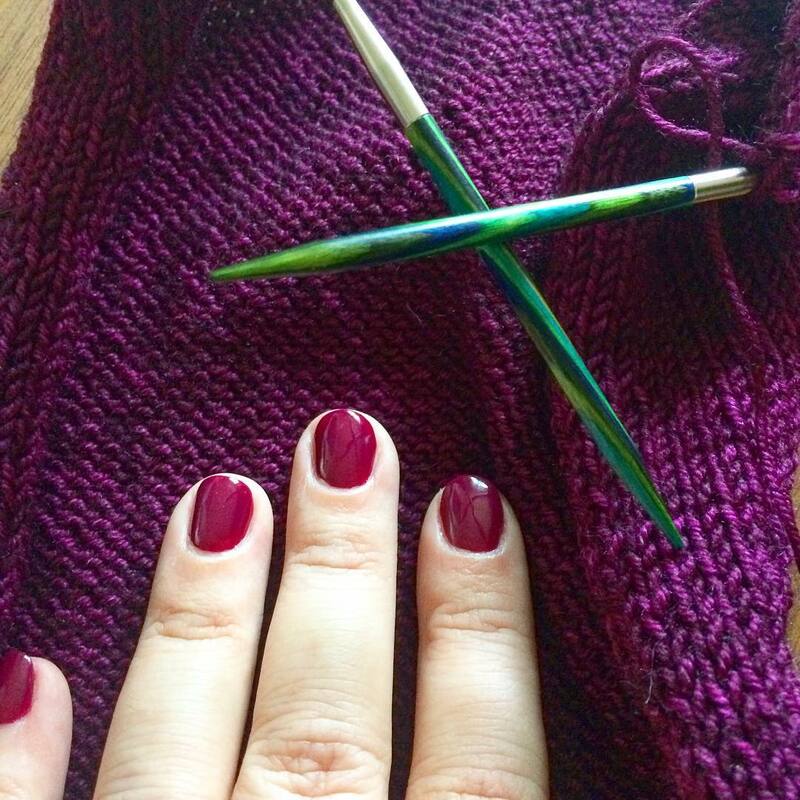 Just make sure you don’t spend all of your knitting time picking out color combos! I put together a few ideas using KnitPicks Swish Worsted to give you a head start and hopefully save you some time. Note: That’s an affiliate link and clicking on it may give me a little cash for the yarn stash! It’s that time again! Another round of holiday gift inspiration to guide you in finding that perfect gift for all types of fiber lovers in your life. I know a lot of knitters advise against yarn as a holiday gift, but as a very picky yarn stasher myself, I don’t really agree with that. That’s not to say just go out and buy whatever yarn you find at your big box craft store and call it good. There’s a lot of quality options out there and I’ve curated a few for you here, as well as some tips and tricks to help make your gift hunting a bit simpler. If you know a bit about your yarn-thusiast and you’d like to gift them something with your personal touch, putting together a Yarn Tasting Bag is quite possibly the absolute perfect gift you could give. 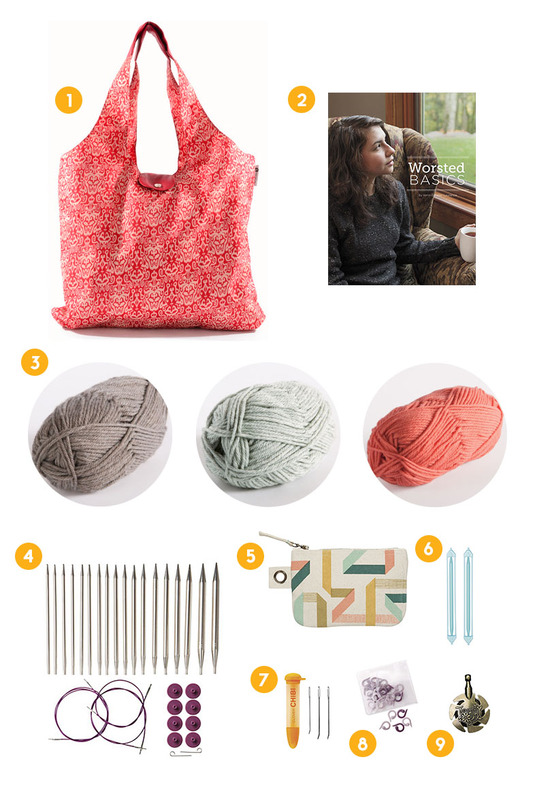 It’s simple to assemble, just find a large tote bag and several skeins of yarn (I’d choose 3-6 options) and voilà! A personalized gift that took just minutes to assemble. My hypothetical, yarn loving giftee is known for knitting everything under the sun and his favorite colors (yeah, dudes knit too!) are neutrals mixed with bold, deep colors. For his holiday gift, this is the Yarn Tasting Bag that I would create. It’s the MOST WONDERFUL tiiiiiiime of the yeeeeaaar! Ok, that’s about all the genuine excitement I have for the holiday season. Don’t get me wrong, October through January is quite simply the best. I love all of the gatherings, the chilly weather, snuggly clothes, delicious foods and tasty beverages. But a lot of it can be downright stressful and unnecessarily so. Especially when it comes to gift giving. And even more so if you have to travel for the holidays, which I do not have to do this year. YAY! I get to be a hermit at home with my husband and cat. Anyway! 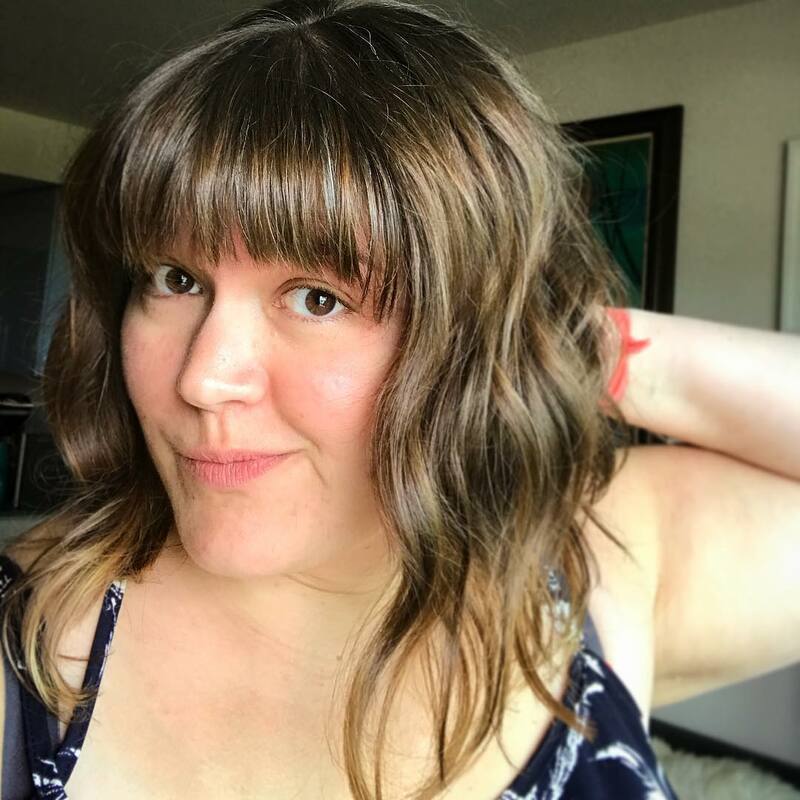 Since I’m having a relatively stress-free holiday season, I’m hoping that I can alleviate some of the stress that comes with gift giving for all of you and help you come up with some easy, but amazing gift ideas. This will be a new mini-series of posts, so check back every Friday for a new gift guide! 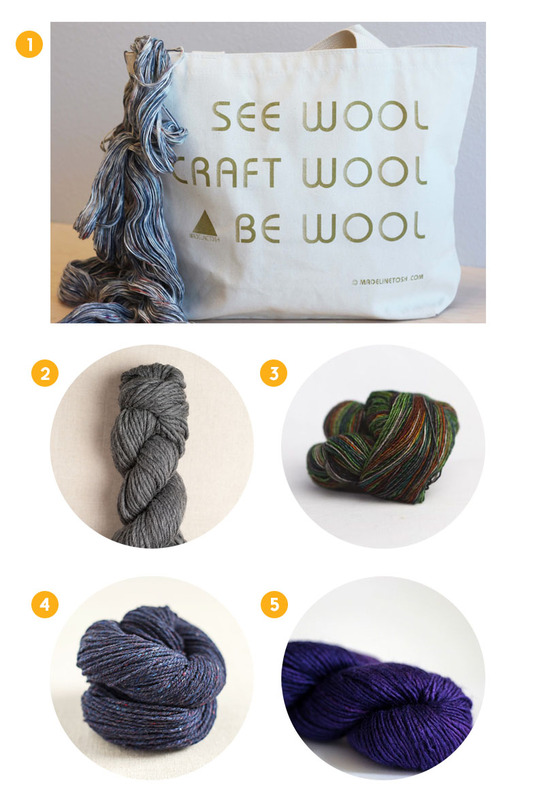 This week’s gift guide is intended for any beginner, newbie knitters in your life. Perhaps you’re a knitter yourself and are trying to convert a non-knitter over to the dark side (heh heh). Or maybe you know somebody who has recently started showing an interest in knitting and you would like to encourage them to keep at it! Either way, this guide is meant for you! In addition to your standard gift ideas and recommendations, I’ll also give you some helpful guidelines to use if you’d rather plan your own unique gift for that newbie knitter if your life. If I had a newbie knitter that I needed a gift for, I would want that gift to reflect my best practices for knitting and also to encourage my newbie knitter to see him/herself as a REAL knitter and not just a beginner. 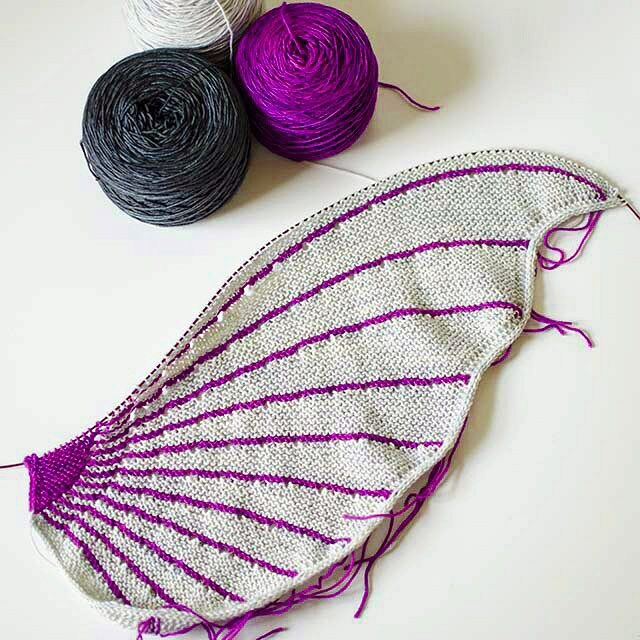 If you’re a regular in the social knitting community online, you’ve probably heard about and (more importantly) seen a lot of Doodler WIPs floating around your feeds. Stephen West’s Mystery Knitalongs (or mystery KALs) are kind of a big deal now. 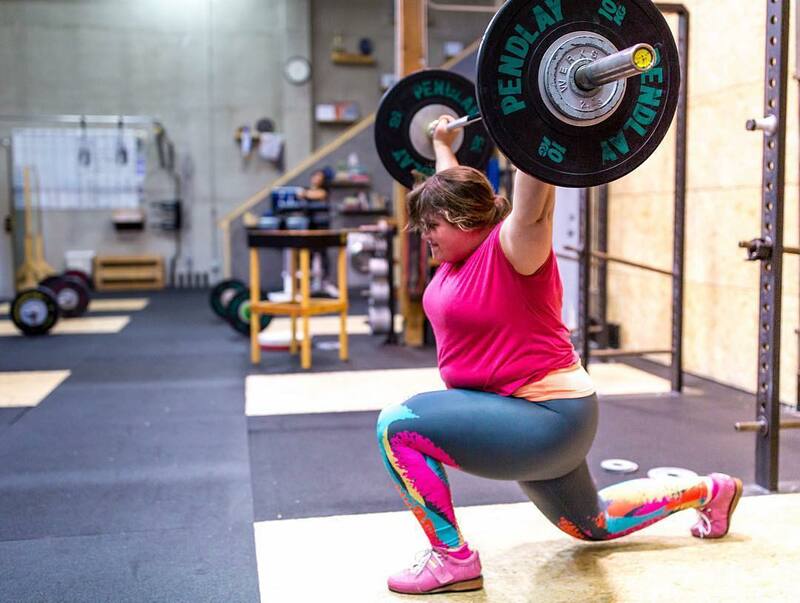 They’ve been going on for more than a couple years and the surprise end results never fail to amaze us. Whether you’re a fan of West’s curiously unique designs or not, you have to admit that the whimsical garments and color combos are a great source of endless inspiration. I have to say that I’ve never been all that enthusiastic about West’s mystery patterns. They were just a little too different for my tastes and I had a hard time wrapping my head around knitting something that I wasn’t even sure I wanted to keep (or gift!). But this year, with the onslaught of WIP photos across social media and the seemingly endless possibilities of color customization, I bit the bullet and hopped on board the Stephen West bandwagon. And I have to say, I AM SO GLAD THAT I DID! This is the FIRST Mystery KAL in which I’ve ever participated. And honestly, it’s my first KAL too. In past KALs, I’ve always either had the intention of joining, but never started, or I just got distracted wandered off partway through. But The Doodler is different. And I think I know why. 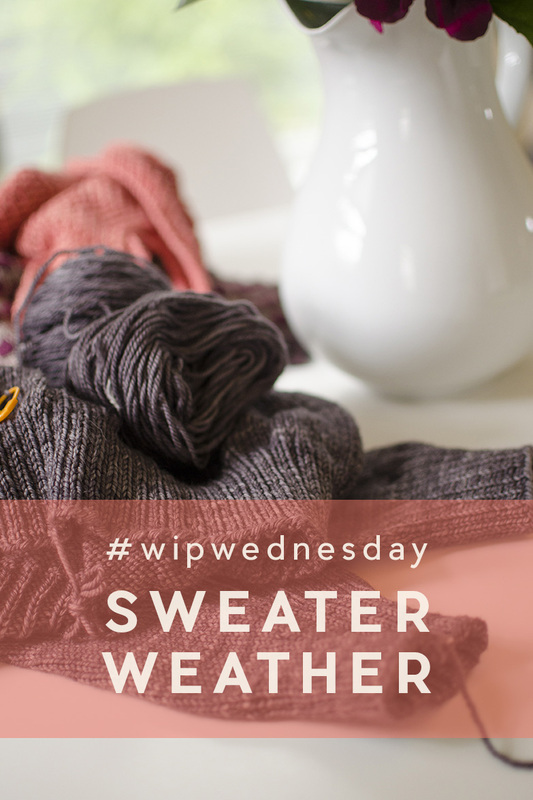 WIP Wednesday | Sweater Weather! I’ve been off the grid for a while, gettin’ married and stuff. It was all super fun times. Quite possibly the fun-est of times. But I’m very happy to be back in the real world and making all of the things once again. With all of the wedding stuff occupying most of my time and patience, I’ve been neglecting a lot of knitting projects. In honor of all the WIPs that I have laying around my house, I’ll be doing a #wipwednesday every (guess what day?!) for a few weeks to pay tribute to the poor, partially formed garments and help keep me accountable and on track to getting them finished! This WIP in particular has been hanging out on the back burner for just over a year now. It’s the super simple and cute Sweatshirt Sweater by Purl Soho and I really REALLY want to wear it this sweater weather season (which is pretty much starts now in the PNW), so I really REALLY need to hurry up and finish it! Ok, so I know not all of you are seasoned knitters, but I DO know that there are so many awesome THINGS out there in the knitting world that you really want to make! And maybe you feel like you’re still just a beginner and not ready to tackle a more complex knitting project, or maybe you’re really comfortable plugging away with your knits and purls. 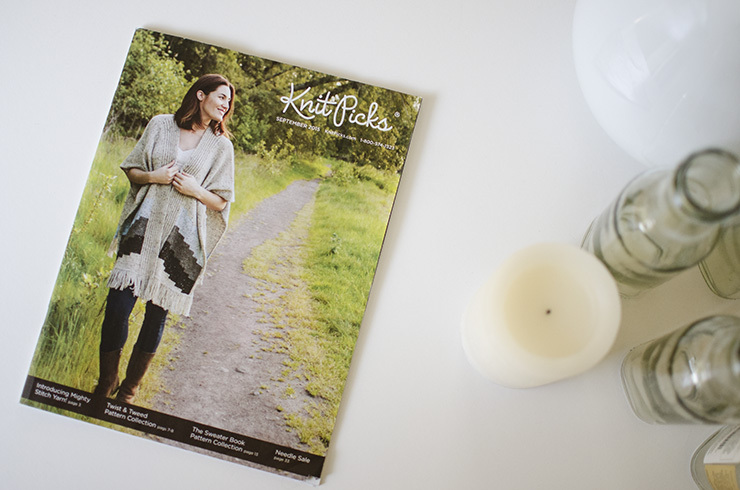 But, if you’re looking for a little inspiration to take your next knitting leap, I’m here to give you a little nudge. Anyway, I’m sure you’re asking “ok well that’s great but… WHAT things should I be knitting so that I can get BETTER?” and I have two answers for this question. I was super excited to get this yarn in my mailbox on Monday. As soon as I got the delivery notifications (hooray, technology!) I rushed right out to get it. Which, if you don’t know me, is not my typical behavior as I usually let the mail pile up for a few days (sorry mail carriers, I know I’m terrible!). 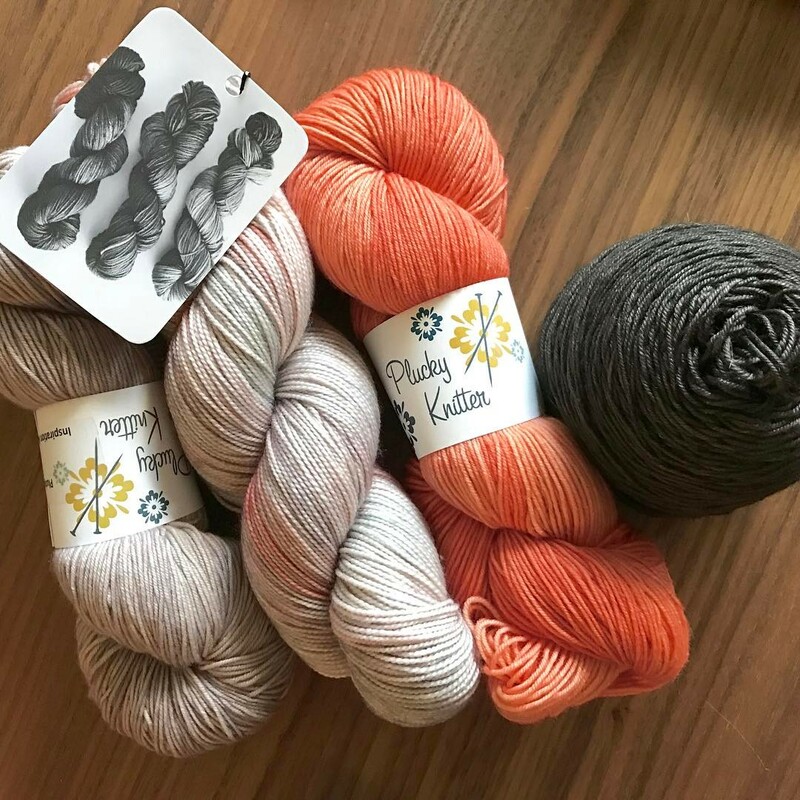 And I don’t usually go for yarns with multiple variegated colors, but after seeing it on Hey Lady Hey’s Instagram feed I just had to have it. I guess you can call it an impulse buy, but I have no regrets. In less than one month (omg. ), I’m doing something that’s pretty huge and kind of scary to most people. I’m getting married. SQUEE! I couldn’t be more excited about it and I absolutely know that it is going to be the best day EVER. And OF COURSE I had to use the wedding as an opportunity to knit something extra special and also practical, like a shawl. Because of reasons… or something, I don’t really know why. I mean, I knit and I like shawls, those are pretty much my reasons. Now shawls in general don’t really take a whole lot of time to knit, but man… when you’re knitting one for your WEDDING and you’re incredibly particular about things like I am (I can be super annoying when it comes colors and patterns), the whole process of choosing the yarn and the colorway and the pattern takes months. Literally. MONTHS. Oooh, I Want That! That’s pretty much my reaction to patterns that I absolutely love. Unfortunately, I love far more patterns than I could possibly knit. 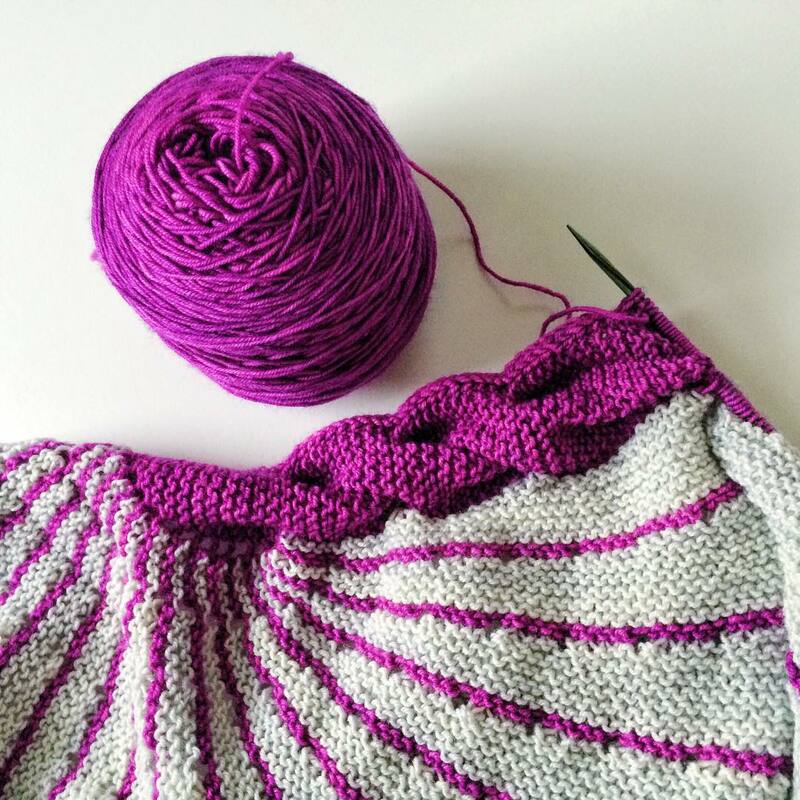 The combination of wanting to make lots and lots of garments (all at the same time) and not being a super speedy knitter means that there are a lot of favorites out there that get no love from me. So I figure a good way to get them some love is to share my inspiration with you all. The first time I saw this Oakwood Poncho, I was bringing in the mail, dropped the pile on the kitchen table, pulled out the KnitPicks catalog and immediately shrieked “oooh I want that!”. I had a million ideas racing through my brain before the damn left, logical side of my brain piped up with “but you’ll never make it! you have too many other things you’re making!”. But instead of wallowing in my own inability to knit a garment in one day, I put together a few ideas I had for making this AMAZING looking poncho.